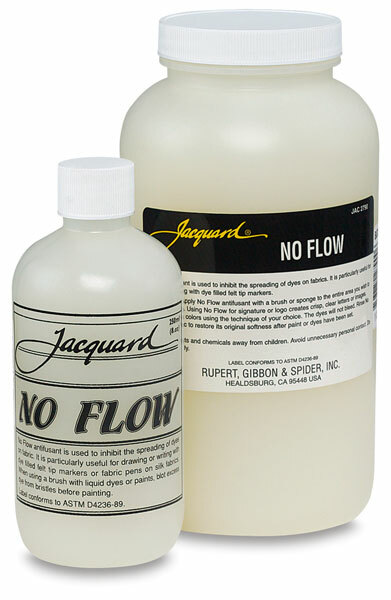 No Flow is a starch-like fluid that inhibits dye from flowing freely when applied to fabric. It is especially useful when making fine lines with a brush or fabric pen. It can be applied to the entire piece of fabric or just to one specific area. No Flow dries clear and rinses out with warm water. It works best on silk and natural fibers.